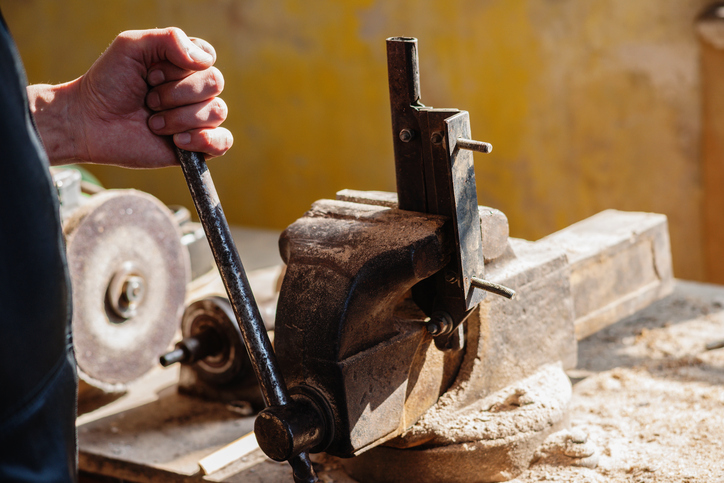 A vice is a habit or practice that’s considered immoral. Immoral or depraved behavior or sexual immorality is also called vice, the latter relating especially to prostitution. A fault or a defect can also be called a vice and so can a personal habit that is not that harmful. As a prefix, it combines with nouns to form compounds, usually in titles of officials who serve in the absence of the person whose title is the noun on its own. Rob's vices include drinking, smoking, and gambling. Patrick started hanging around with gang members and gave up a promising career for a life of vice. The brothel madam made her living from vice. This student's tendency to use the word "basically" all the time is a vice in her writing style. Watching Australian soap operas is my secret vice. The vice-president of the committee will chair the meeting in the president's absence. Vice is also the name of a popular magazine, founded in Canada. You can read more about it here. Vice dates back to the late 13th century. The noun, which was written the same in Middle English as it is now, originally meant ‘moral fault or wickedness,’ and came into English from the Anglo-French and Old French vice, which could mean ‘fault or failing,’ ‘defect,’ ‘misdemeanor’ or even ‘irregularity.’ It can be traced back to the Medieval Latin vicium, a variant of the Latin vitium (which some linguists believe was pronounced vit-sium or even vi-sium), meaning ‘defect, offense, imperfection or blemish’ in both the physical and moral senses. Its origin can be found in the Proto-Indo-European root wei– (meaning ‘vice, fault or guilt’). Only the moral sense ever made it into English (and other modern languages), but other than that, the sense has remained very stable. The unrelated prefix, vice-, dates back to the 15th century. Meaning either ‘assistant, substitute or deputy,’ or ‘instead of or in place of,’ vice also came into Middle English from the French and, as such, the Middle French forms vi- and vis- were also sometimes used. It can be traced back to the Latin word vice, meaning ‘in place of.’ It was the ablative declension of the noun vicis (a change, a turn or an alternation), and originated in the Proto-Indo-European root weik- (to bend or wind).